Old Cars Canada: Mike Brewer's The Wheeler Dealer Know How! 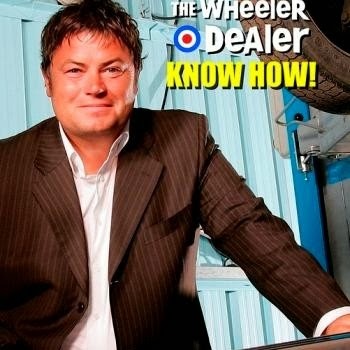 Mike Brewer's The Wheeler Dealer Know How! Mike Brewer is a familiar face to many who have watched his TV shows on Discovery Canada HD. He has vast experience in buying, restoring and selling vehicles of interest. He now shares that wisdom in the 128 pages of his newest book, Mike Brewer's The Wheeler Dealer Know How! The book is filled with Mike's passion, wit and humour as he gives invaluable tips that make for savvy wheeling and dealing without getting burnt. Forewarned is forearmed. Mike's book is a must for anyone who wants to enjoy the vintage car hobby fully and wisely.